Diabetes is a costly disease both financially and emotionally. Trying to afford diabetes supplies and managing high and low blood glucose levels can be taxing. Thankfully some provinces and states in North America offer help to cover the costs of some or even all diabetes supplies. That is still not enough though. There should not be a gap in care. It should not matter where you live or what your work benefits package is. Until this happens, we will continue to advocate for change. Through the continued dedication of individuals and groups, we are seeing small steps towards change. One day there will be complete equity in access to diabetes care and devices. Until that happens, here is an overview of assistance available for people with diabetes across Canada. If you live in the United States, please check out our tax savings page for options also available to you. Registered Disability Savings Plan from the government of Canada offers eligible claimants annual grant money that can later be used to offset some of the costs of diabetes supplies. This plan is similar in principle to an RRSP but for the assistance of medical expenses. It is only available to those who qualify for the Disability Tax Credit. Be a resident of Alberta, eligible for coverage under the Alberta Health Care Insurance Plan. Be diagnosed with Type 1 diabetes and be under the care of a physician or nurse practitioner for the condition. Meet the clinical criteria established by Alberta Health Services for the IPT Program. Follow steps outlined in the IPT Program for new or existing IPT users. B.C. offers a PharmaCare program. Benefits and coverage under this program depend on income level. 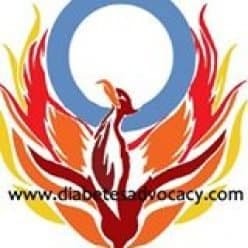 They cover all insulin listed on the BC formulary as well as an insulin pump every 5 years and supplies for all ages under a two-tiered system. Under Tier 1, PharmaCare covers 100% of the cost of an Omnipod and supplies every five years subject to the rules of your PharmaCare plan. Under Tier 2, PharmaCare will cover a portion of a tubed (Medtronic) insulin pump IF this pump is prescribed by your doctor and approved by special authorization. Important: Be sure to register for Fair PharmaCare before purchasing an insulin pump to ensure you get maximum coverage. PharmaCare covers infusion sets/kits and insulin pump reservoirs/cartridges. It does not cover batteries, battery caps, adhesive pads, etc. The PharmaCare program will cover needles and syringes if you have insulin-dependent diabetes and you are covered under Fair PharmaCare, Plan C (Income Assistance) and Plan F (At Home Program). You do not need a Certificate of Training from a Diabetes Education Centre to qualify for this coverage. For needles and syringes for insulin therapy, PharmaCare covers the regular retail price but does not cover a dispensing fee. Financial assistance for insulin in New Brunswick is only available to individuals who are receiving income support or low-income seniors. They only offer coverage to those insulins listed on their provincial formularies unless special authorization is given. Insulin pumps are now covered for those with type 1 diabetes up to 25 years of age. Newfoundland and Labrador has an Assurance Drug Plan that offers protection against the financial burden of eligible high drug costs, whether from the cost of one extremely high-cost drug or the combined cost of different drugs. Depending on their income level, individuals and families will be assured that their annual out-of-pocket costs for eligible drugs will be capped at a percentage of their net family income. Applications are available in physician’s offices and pharmacies as well as on-line at www.gov.nl.ca/health. Insulin pumps and supplies are covered for those under 25 years of age. April 16, 2019 the Liberal government announced that it would remove the age cap for all individuals currently enrolled in the insulin pump program. Because this budget has not yet been approved by the House of Assembly, this change may be subject to further amendments. See our full editorial on what this means on our Facebook Page. In Nova Scotia the Diabetes Assistance Plan covers test strips, lancets, syringes and insulin listed on its formulary. This financial assistance plan is designed to assist low-income families and people who are under the age of 65 and have no other drug coverage. Registration forms and information booklets are available by calling the Nova Scotia Diabetes Assistance Program. Information is also available on the Department of Health website. You can also find forms and booklets in doctors’ offices, pharmacies, and diabetes centres. Insulin pumps and supplies are covered for those under 25yr. Drug Benefits Program and the Trillium Drug Plan both offer insulin coverage for families meeting the provincial criteria. Insulin covered only includes those listed on the provincial drug formulary. The Ontario government further provides assistance for insulin pumps and supplies for children and adults. Qualified individuals receive $600 tax free each quarter to use towards supplies as well as a free insulin pump every 5 years from qualified vendors. The province of PEI covers 90% of the cost of an insulin pump every 5 years for residents under 19 years of age. It also covers 140 infusion sets and 140 insulin reservoirs per year. There is some assistance available to cover the cost of insulin and test strips under the Diabetes Drug Program. On April 16, 2011 Quebec Health Minister Bolduc announced a reimbursement program that will cover insulin pumps for Type 1 diabetes patients aged 0 to 18 years old. To get the device, the patient and parents must pledge their compliance to the treatment protocol. the work of Anna Kiff. The province of Saskatchewan covers syringes and lancets for people with diabetes. Insulin pumps and supplies, however, are only covered for those up to 25 years old. The situation in the Yukon and other territories remains somewhat unique. Many people living in the north receive 100% coverage of all insulins, pumps and pump supplies under the Non-Insured Health Benefits plan (NIHB). For an in-depth look at coverage for your province, check out the work of insulinpumps.ca. Not sure where to start when choosing an insulin pump? We can help!